Three promotions of veteran Dalton Police Department officers and the hiring of a new member of the agency were all confirmed Tuesday morning by the Public Safety Commission. The promotions were made to finish filling vacancies left by a line of previous officer promotions and reassignments that began earlier this year with the promotion of new Chief Cliff Cason and the retirement of a member of the department’s command staff. Mike Wilson was promoted to the rank of captain. Captain Wilson has served the police department for 25 years, joining as a patrol officer in April 1993. 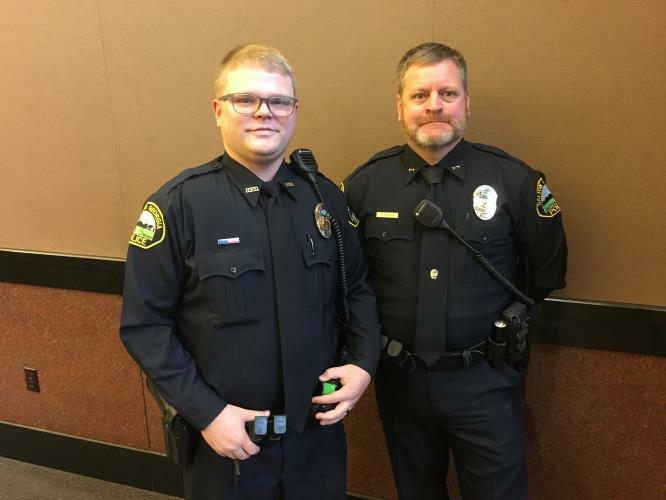 He has moved up the ranks in the department serving in a variety of different roles, most recently as a lieutenant in charge of the patrol division’s operations. He is a June 1992 graduate of Georgia Southern University and holds a master’s degree in public administration from Columbus State University. Jason Bishop was promoted from sergeant to lieutenant. 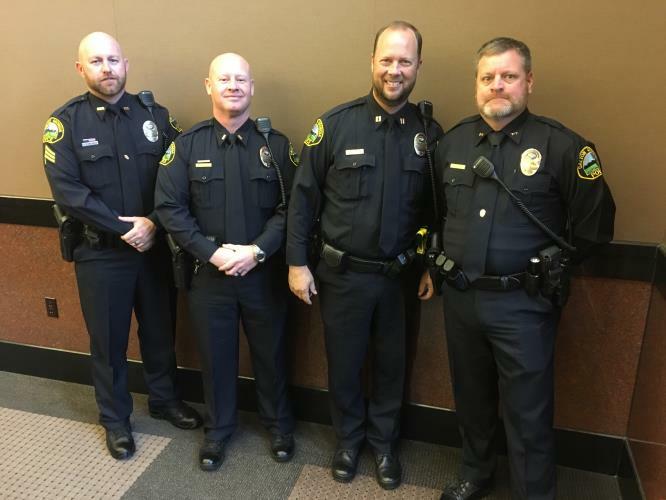 Lt. Bishop is a native of Indiana and previously served as a police officer in Lexington, Kentucky, but he has been a member of the Dalton Police Department since January 2001. He also is a six year veteran of the US Army. Lt. Bishop spent time as a detective before being promoted to sergeant in 2015 and has since served as a supervisor in the department’s patrol division. He holds an associate’s degree in applied science from Georgia Northwestern Technical College. Chris Zimmerman was promoted to the rank of sergeant and will be assigned to the patrol division as a shift supervisor. Sergeant Zimmerman is a 1991 graduate of Ringgold High School and he has an associate’s degree in applied science from Thomas University. Sergeant Zimmerman has served the DPD since July 2002 and most recently has been assigned to the code enforcement unit. Officer Joshua Bethune recently completed his mandate certification at the Georgia Public Safety Training Center's Regional Police Academy. Officer Bethune is a native of Ringgold, and graduated from Ringgold High School in 2013. He didn't wait for graduation to enlist in the US Army National Guard, however, joining in 2012 and serving until this year.